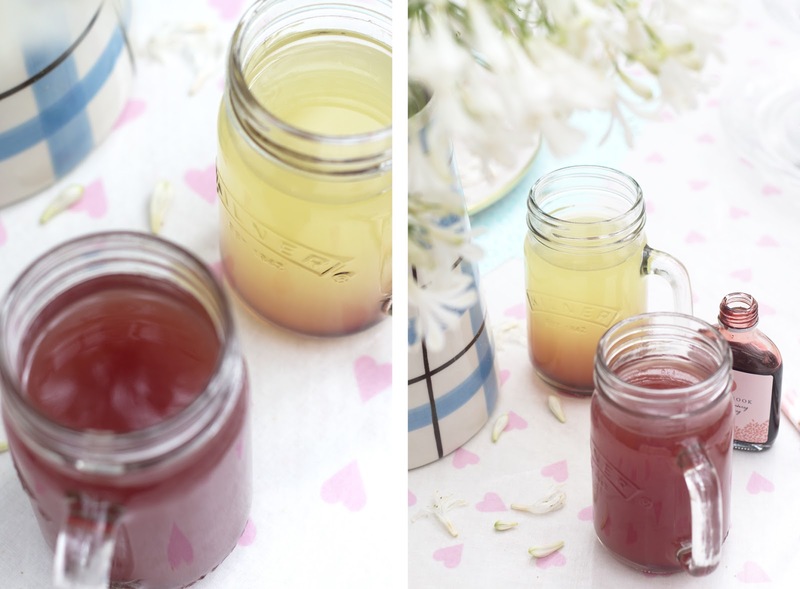 Hands up if you love homemade lemonade? I always love going to a cute cafe where they serve their own freshly squeezed lemonade by the jug, it has such a fresh zing to it and, let’s be honest, it tastes 100x better than Sprite or other similar available brands *ahem*. 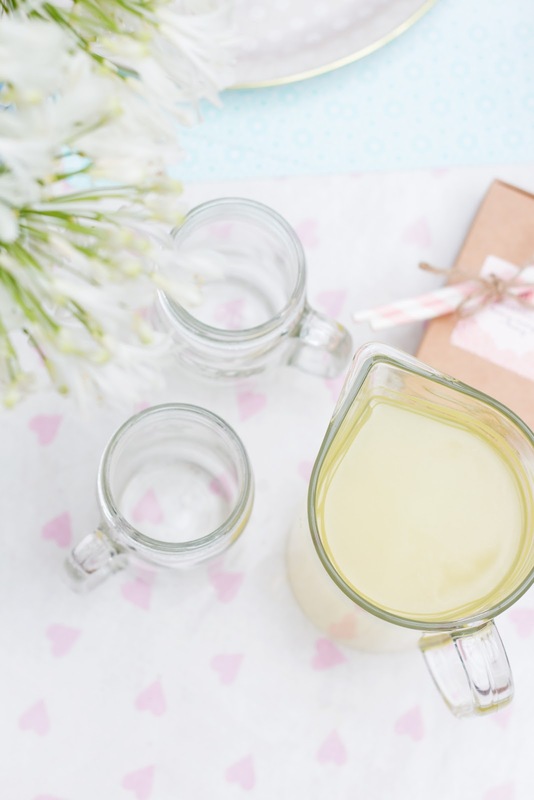 I’ve often struggled to make a decent lemonade in the kitchen – lots of lemons thrown in the air, not always a ‘when life gives you lemons, make lemonade’ situation, but I wanted to do something special this weekend with friends coming over instead of the usual tea. 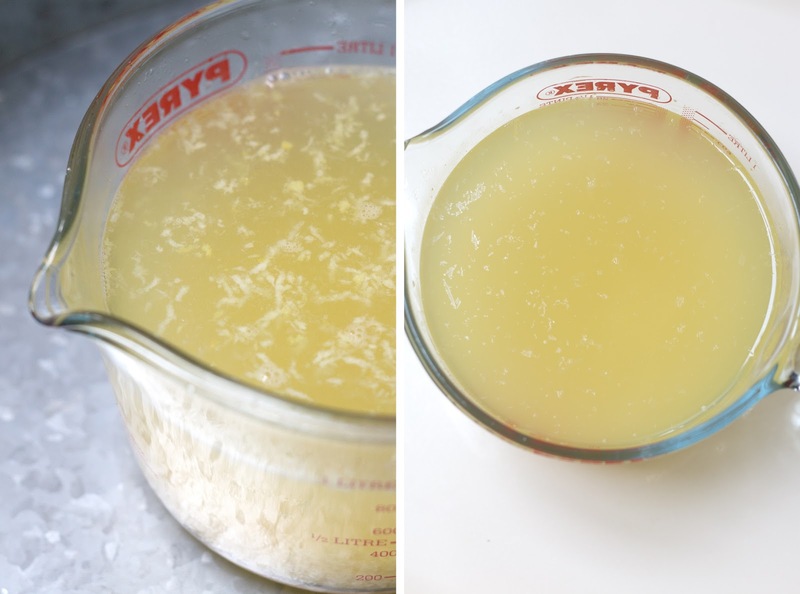 Count my lucky lemons then that Bloom and Wild have created their own at-home kit which makes homemade lemonade an absolute dream to make, and isn’t to bad on the taste buds either. 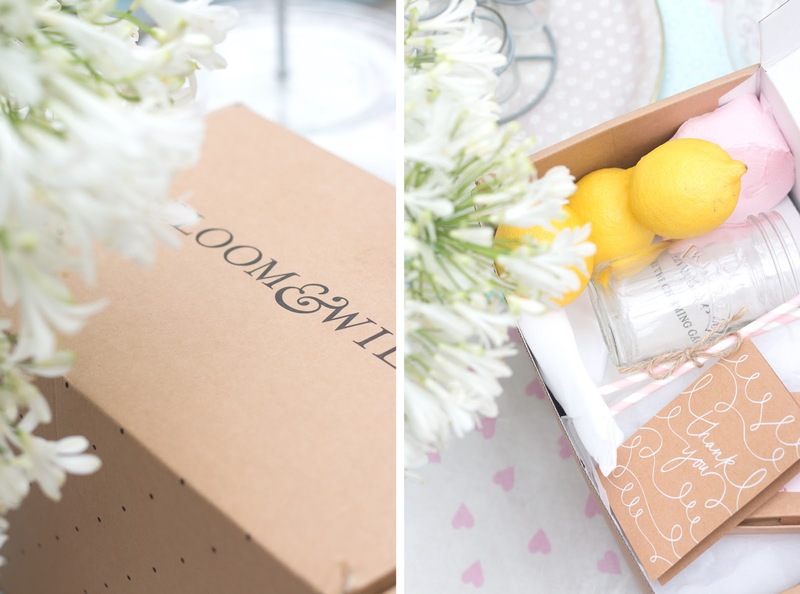 As I said, Bloom and Wild – who specialise in some of the most gorgeous flowers – have just launched their Lemon Aid Kit* which covers everything you need to make two very generously filled Kilner jars (you also get two jars in your kit, how amazing is that?!) 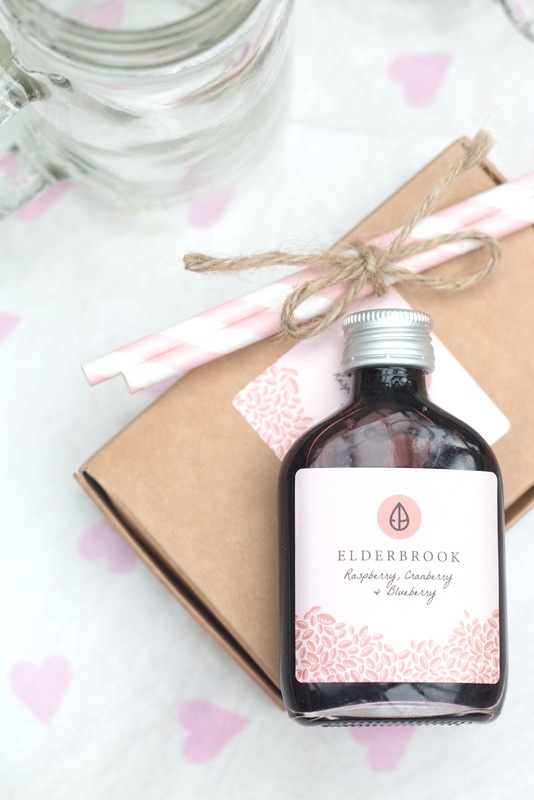 and upon opening you are presented with what is practically Pinterest in a box – pink crepe streamers and striped straws, the biggest and freshest lemons I’ve ever seen, and the dinkiest (and cutest) bottle of Elderbrook Raspberry, Cranberry and Blueberry Cordial which smells like heaven. The kit is £25 which is such good value considering you get two Kilner jars and the cordial (which you only need a tiny amount of per glass – such price per use, much conservation) plus a muslin cloth which can be reused again and again, which obviously you will because this lemonade recipe is just so easy to recreate and keep fresh in the fridge for days! 1. Zest your lemons, making sure not to catch too much of the pithe as this makes it bitter. 2. 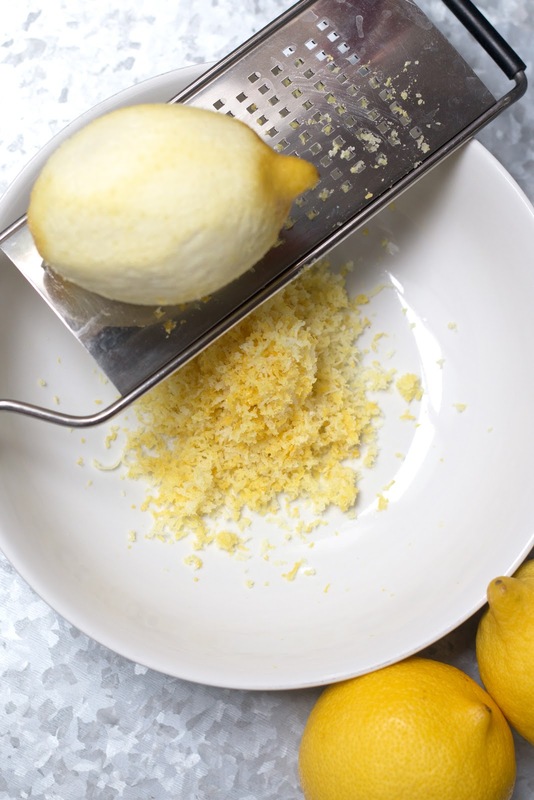 Juice the lemons and combine with the sugar and zest, stirring to make sure everything is combined. 3. Top the juice up with 700ml of hot water and allow to infuse and mix overnight in the fridge. 4. The next day, say about lunchtime when you want something to quench your thirst, take your lemonade out the fridge. It should now be a brilliant bright yellow colour and is ready for drinking! 5. Pop your Kilner jars in the fridge for 20 minutes to keep the drinks cold when you serve. Take a large jug and pop the muslin cloth over, securing with an elastic band if needed. 6. 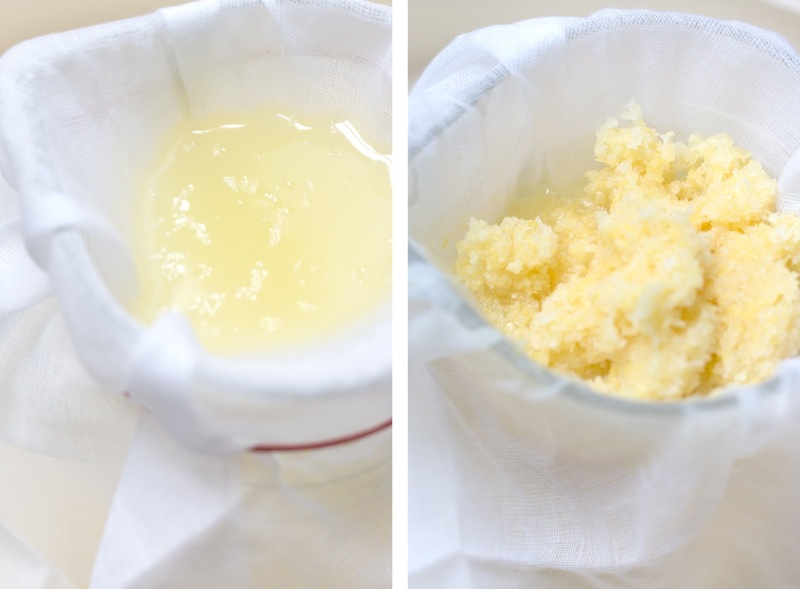 Stir the juice and pour through the muslin cloth to strain any excess zest and sugar. 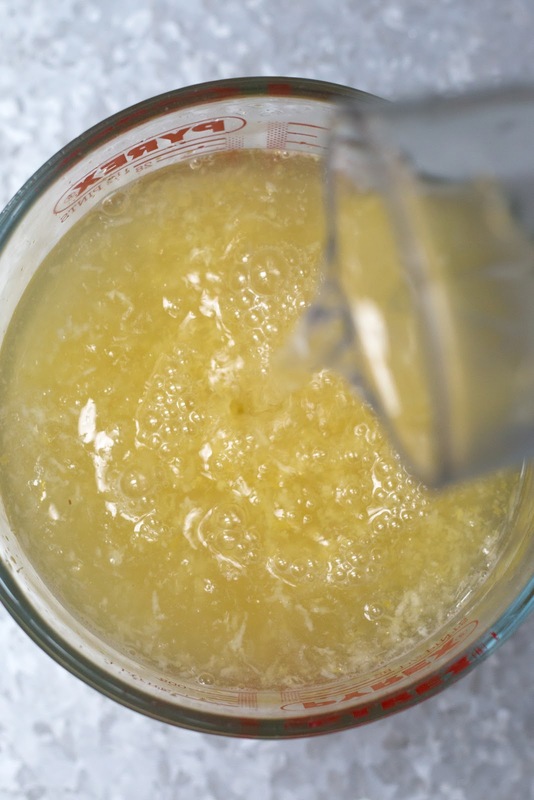 Squeeze out as much liquid as you can and then recycle the leftover zest. 7. Now time for the fun part! 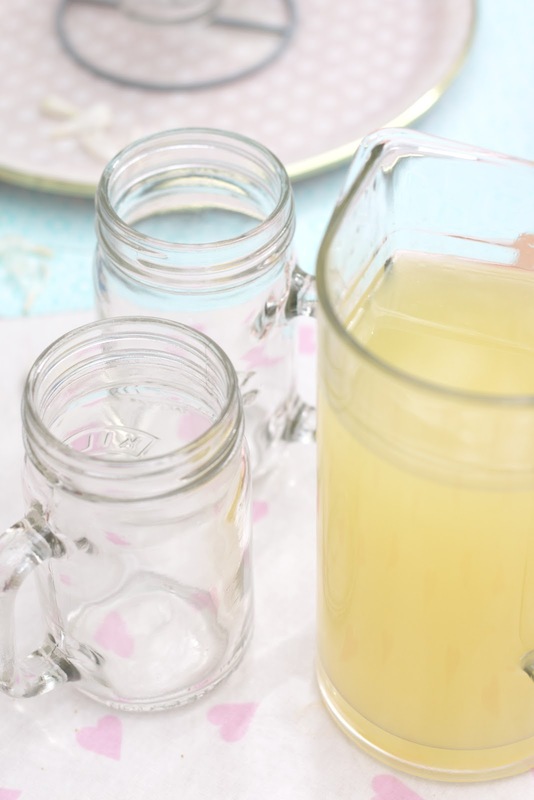 Take your cooled Kilner jars out the fridge and prepare for the lemonade. This is your time to get creative! 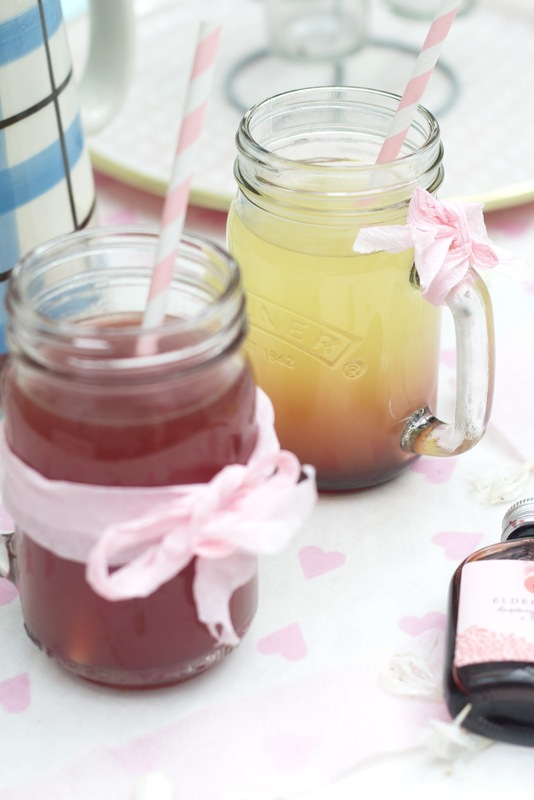 – For a full-on pink lemonade, just cover the bottom of the jar with the Elderbrook cordial and top up with lemonade. For a lighter taste, fill the jar 3/4 lemonade and 1/4 sparking water for extra fizz! 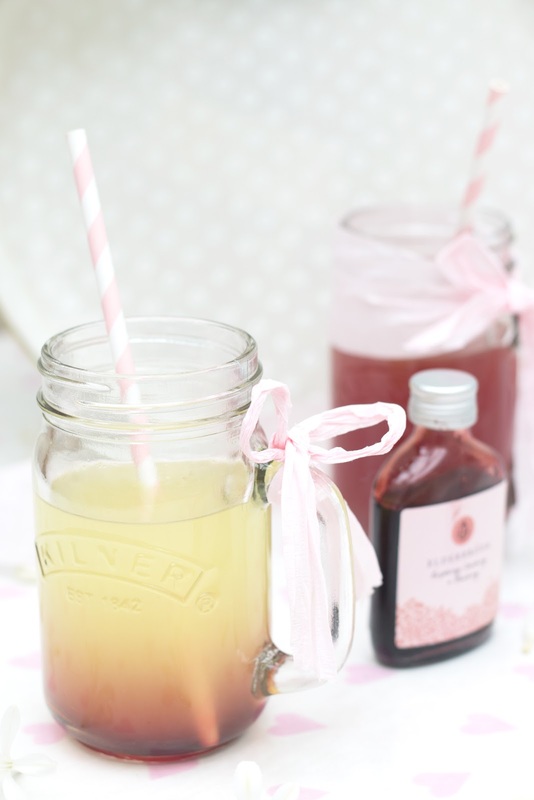 – For a gradual blush, fill the jar with lemonade and slowly pour in the cordial until the base turns a solid pink and begins the rise through the drink like a summer sunset. 8. If you want to go the extra mile with your jars, you can decorate them using your crepe paper – I went for some bows on mine for a cute, vintage edge before finalising them off with the pink straws. Et voila, your Homemade Blush Lemonade is complete! 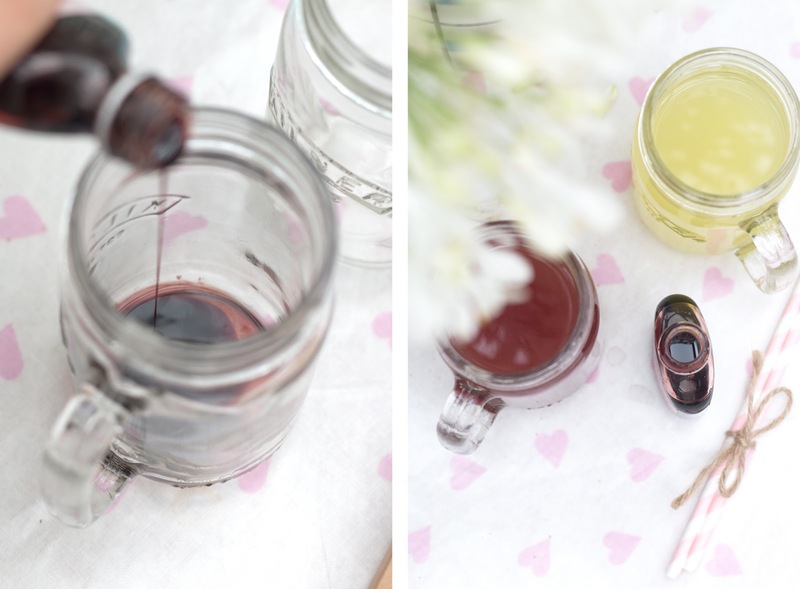 Slurping on this delicious lemonade is certainly worth the wait, the fresh lemons and sweet berry cordial is a match made in heaven and I could have easily finished off both and then some in one sitting – there’s a reason I have to control my sweet tooth! I absolutely adore the soft pink take to this kit, it really makes a wonderful gift for a fellow foodie or maybe even a housewarming present, but on a summer’s weekend there’s no better way to bring sunshine to the table (or mug) than a jug of freshly squeezed lemonade to impress your friends and ward off the rain – Pinterest, eat your heart out! 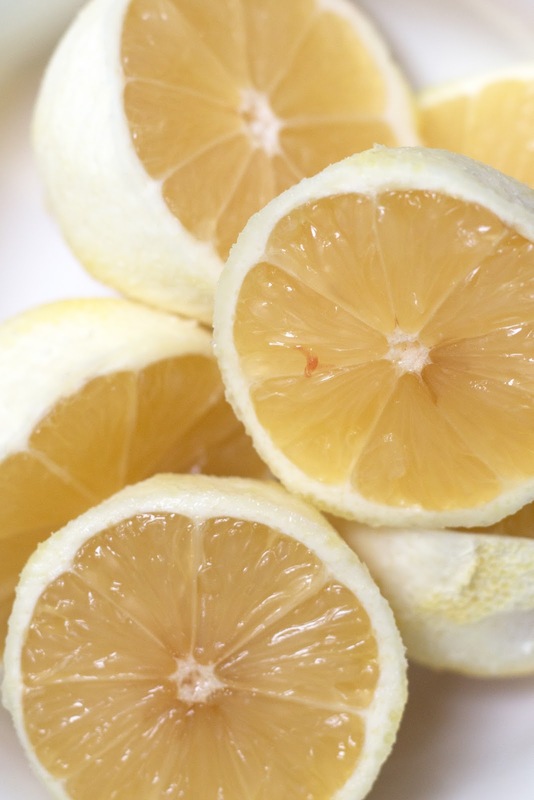 Have you tried making your own lemonade before? Will you be buying this gift for yourself or someone? 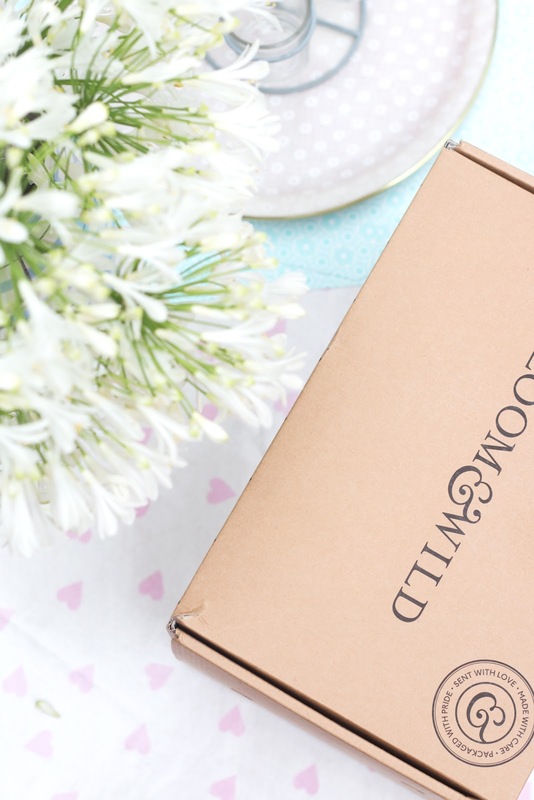 Have you checked out Bloom and Wild’s beautiful gifts and bouquets?! This post is in collaboration with Bloom and Will, however all views are my own and yummy lemonade noises come from yours truly.